Bitcoin is nearing a so-called “death cross” – the point when the 50-day moving average falls below the 200-day moving average, CNBC reported. Already, the cryptocurrency’s 50-day moving average has fallen below its 100-day average. Bitcoin was trading at $7,880.64 as of 9:49 p.m., according to CoinDesk. And Ripple made a $29 million donation in XRP to help provide school supplies to children in public schools, The Next Web reported. The company made the donation through DonorsChoose.org. 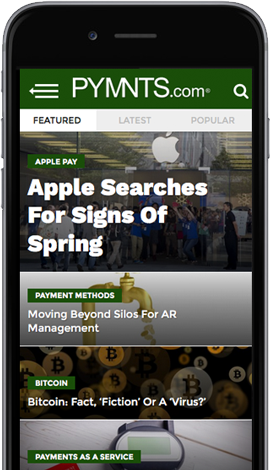 In investment news, Boston-based Flipside Crypto notched $3.4 million in equity funding, BostInno reported. The company plans to use the funding to develop tools and algorithms that scan the online crypto market and serve as the basis of its investment recommendations. Adding to the list of cryptocurrencies that users can buy or trade on its platform, Uphold announced that it has added support for Ripple’s XRP currency, CoinDesk reported. Uphold’s decision comes after the company conducted a Twitter poll that revealed Ripple was the digital currency voters wanted most out of four total choices. And Denmark’s Danske Bank is removing options for customers to purchase financial instruments that are tied to the price of digital currencies, CoinDesk reported – although the bank’s customers will still be able to buy cryptocurrencies using their credit cards. Still, the bank advised customers not to buy cryptocurrencies: “We strongly recommend that our customers avoid investing in cryptocurrencies,” Danske wrote in a report. In the U.S., CME Group is in discussions to purchase Britain’s NEX Group for $5.4 billion, Reuters reported. According to NEX, CME was seeking a takeover at 10 pounds per share, or 3 percent over NEX’s closing price. And technology eCommerce retailer Newegg is now accepting bitcoin for customers in Canada, CCN reported. Newegg doesn’t actually accept bitcoin directly: It uses BitPay to process the payments. BitPay, in turn, converts bitcoin into fiat currency.